A wonderful sport where the novice receives the same positive emotions like an experienced master, learn ice skating Zermatt. Is beautiful, is poetic, is healthy, is Ice Skating! Skating performance contributes to the harmonious development of the body and to your artistic sense in the same time. One of the few sports where you can express yourself artisticly, while being active. It is an art fully combining a lot of grace, suppleness and grandeur, together with self-control, precision, good coordination and great physical effort. It’s something that you should try as well! My Ski School offers now ice skating lessons to initiate those eager to learn the basic movements of the sport, but also for experienced ones who would like to improve the technique and we will help you to make the most of this activity. The private initiation courses are addressed to children early performance, but also to adults who want to learn to skate for their own pleasure and benefits of practicing this sport. 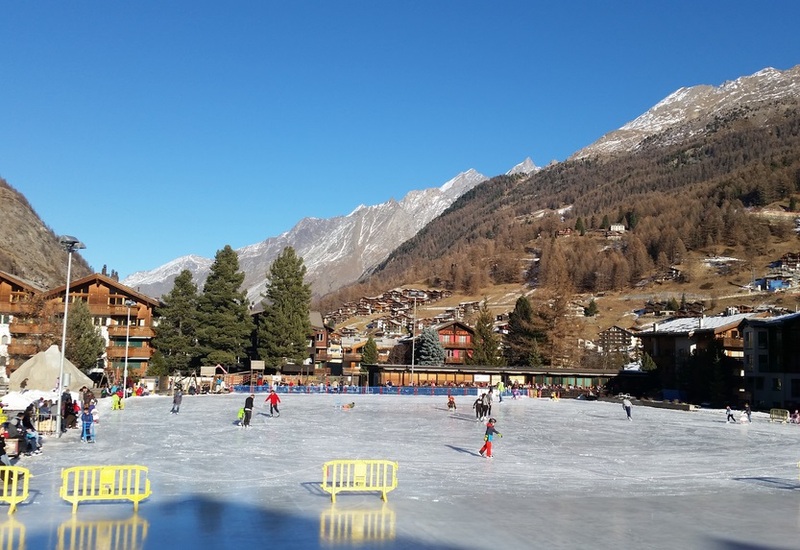 The classes will take place in open air, at the ice rink Zermatt, between 10:00 and 19:00, under the guidance of professional instructor during the whole winter season. Mor detailed info about Ice Skating Zermatt here. Hoping that we have managed to capture your interest for the beauty of ice skating and for the physical skills development through this sport, we are waiting for you to enjoy together a beautiful adventure on ice. * The ice skating lesson prices can vary depending on the season, please contact us to find out the exact price for a lesson.